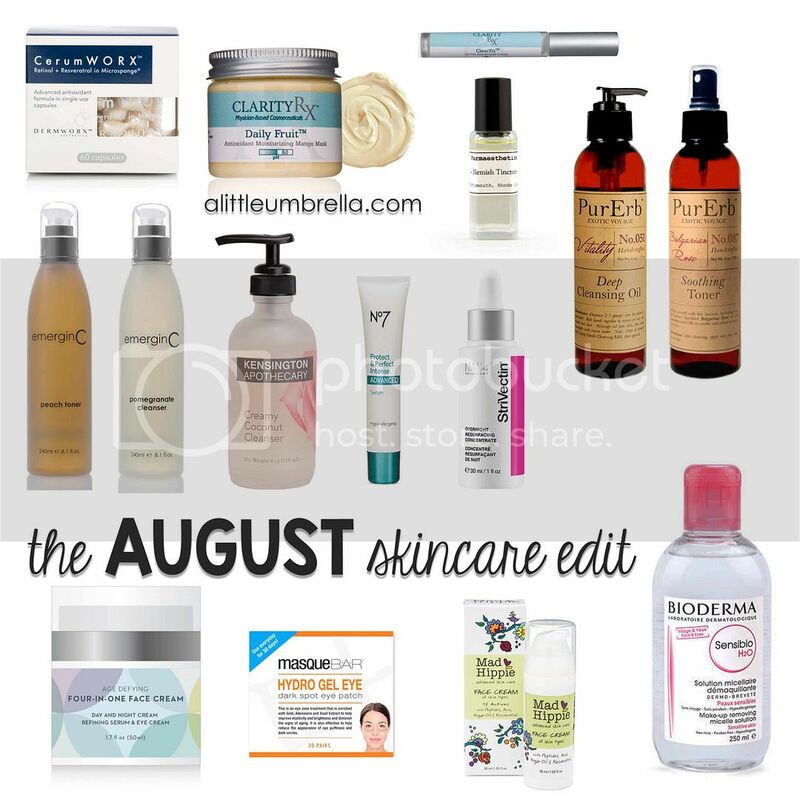 August is a weird transition time for skincare. It is still really hot, but you have fall in your mind. You still go to the beach, but school is in session. 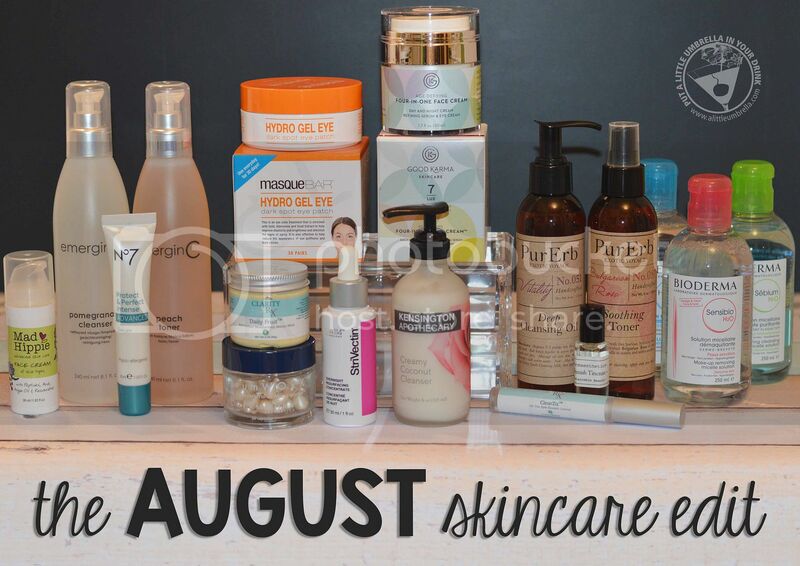 Here are some skincare picks that I have been using this month. They are perfect to use now, but will still work wonders once the weather changes. The power of red wine in a new clinically-proven anti-aging serum? Meet CerumWORX Night Serum. It combines both Retinol and Resveratrol in time-release Microsponge delivery technology for a gentle long-lasting application. I love how this product is delivered in convenient capsules for fresh and pre-measured product application! These little capsules have proven to be effective in enhancing skin hydration, elasticity, smoothness, and the appearance of wrinkles. My favorite way to use them is to renew the appearance of skin from visible effects of sun. They also deliver key antioxidants and phytonutrients! So enjoy your glass of wine in the evening and embrace the powerful benefits of Resveratrol by simply applying CerumWORX Night Serum before you go to sleep.You skin will thank you! This rich mask ensures that your skin receives a full serving of fruit! 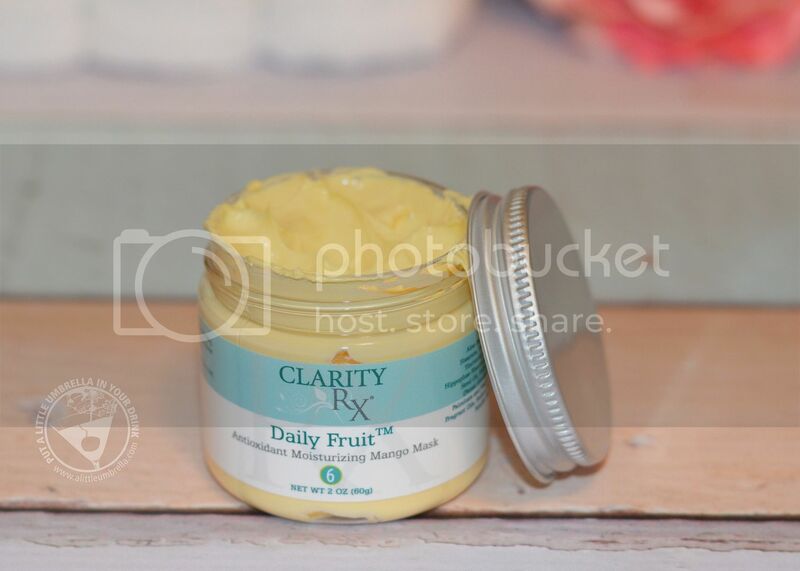 ClarityRx Daily Fruit Antioxidant Moisturizing Mango Mask is a creamy, anti-aging mask that delivers essential free radical fighting ingredients to your skin. It is loaded with nurturing ingredients, enhanced by pentapeptides, that aid in improved collagen formation, and emollient oils to help restore aging skin. I love using it to treat my summer sun-drenched skin. Containing Aloe Vera Gel, Sea Buckthorn Berry Oil, and Mango Butter - this mask delivers mega-moisture! Also from ClarityRx, the ClearZit On The Spot Blemish Control features an easy-to-use applicator that is ideal for treating unexpected and unwanted blemishes. The combination of salicylic acid, glycolic acid, menthol, witch hazel, and camphor is perfect to address conditions associated with breakouts such as inflammation, redness, and soreness. As soon as I feel a trouble spot forming, I reach for this. I like to apply it before bed and I wake up to noticeable healing. 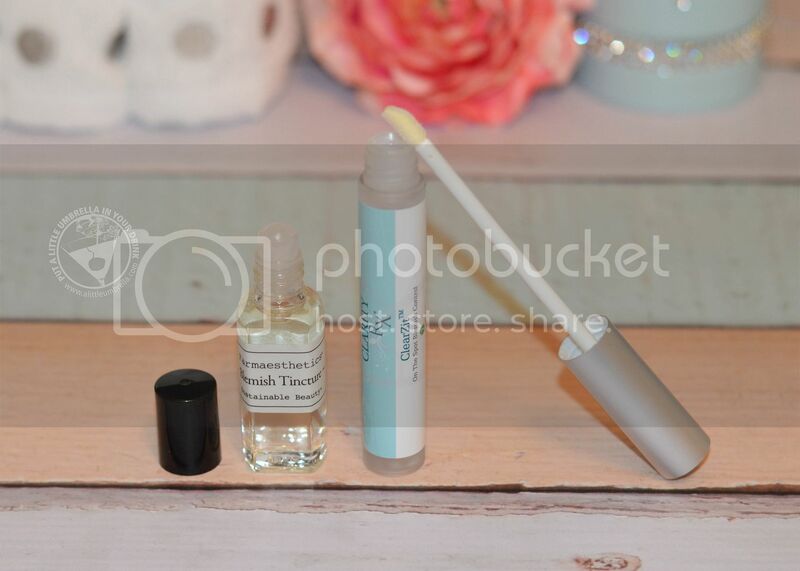 Another blemish treatment I have been loving is the Blemish Tincture from Farmaesthetics. Apply this anti-bacterial, anti-microbial herbal tincture directly to any blemish to accelerate healing. Apply this to a trouble spot will stop bacteria in its tracks … naturally. I like using this option over my makeup, leaving it on all day. The combination of these two products has been a total win for me! Looking for a cleanser that thoroughly cleanses and removes excess oil without drying? 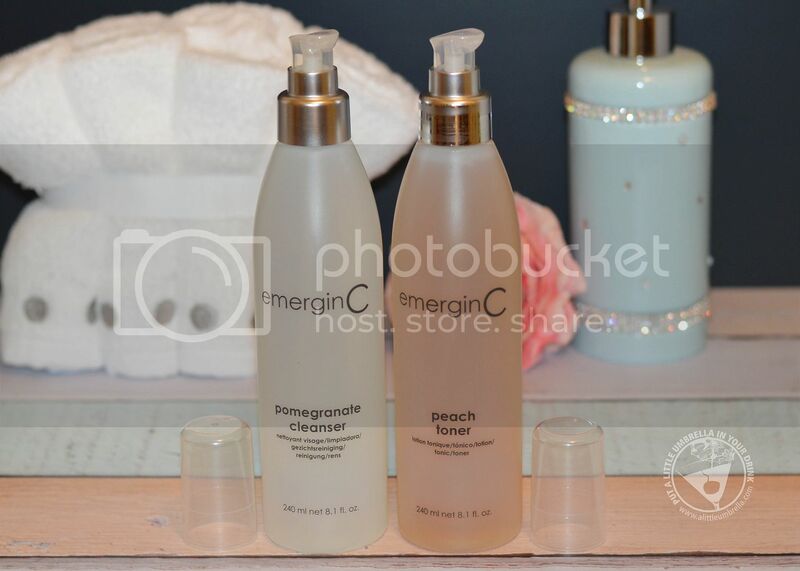 Try emerginC Pomegranate Gel Cleanser. It contains a wide variety of plant and herbal extracts designed to cleanse thoroughly and even remove make-up. Follow up with Peach Toner, also from emerginC. This active toner will boost your cleansing routine by leaving skin toned and refreshed. Used together, my skin feels fresh and clean! 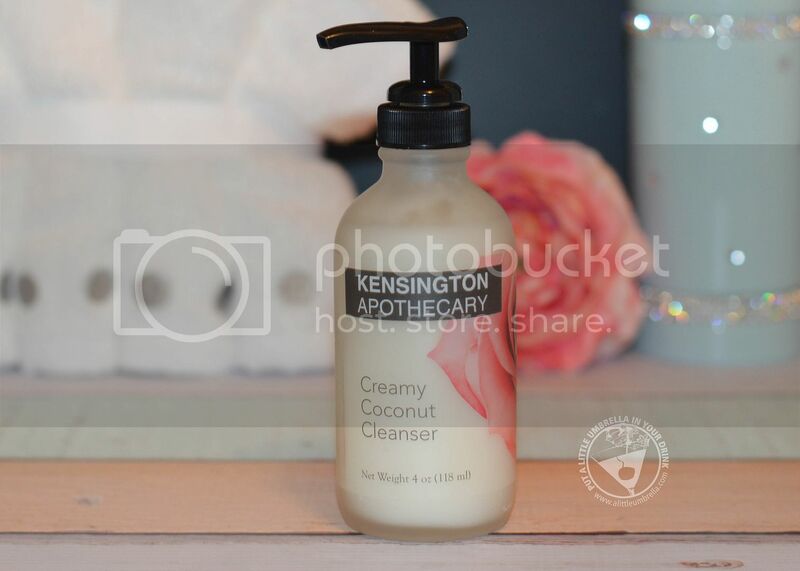 Made with organic virgin coconut oil, Creamy Coconut Cleanser from Kensington Apothecary, hydrates skin while removing dead skin cells to leave skin refreshed and clean. It lathers gently using a coconut-based surfactant system that will not dry out your skin. For those who crave a good lather, this one will satisfy. Get out your spin brushes and scrub yourself happy. 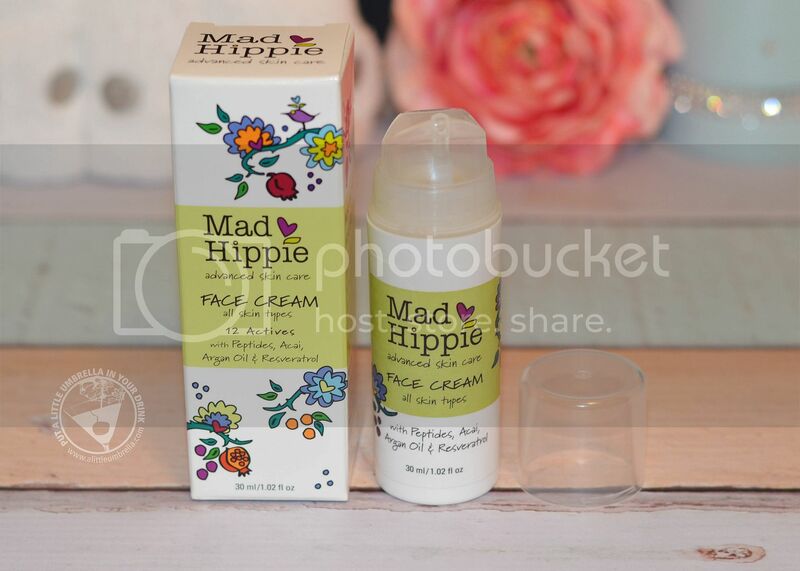 Mad Hippie Face Cream is a natural and revitalizing. It reduces the appearance of wrinkles to reveal smooth, healthy skin. Packed to the brim with peptides and actives, this face cream is formulated to kick-start collagen production while Mother Nature’s best antioxidants neutralize aging free radicals. With powerful ingredients like Vitamin B3 (helps skin tone) and Grape Seed Extract (inhibits photoaging), this natural wonder is a must-have for your skincare routine. This luxurious rinse-off oil cleanser dissolves and washes away surface impurities to help prevent dehydration. Vitality Deep Cleansing Oil from PurErb leaves skin refreshed, smooth, and radiant. The moisturizing formula features 15 exotic botanical ingredients. Just apply oil onto dry face, then wet to activate oil. Gently massage, rinse thoroughly, and pat dry. Follow with a hydrating mist like PurErb's Bulgarian Rose Soothing Toner. This indulgent treatment features cherished Bulgarian Rose oil and Edelweiss stem cells to soothe and soften skin. It will quench thirsty, environmentally-stressed skin, while sensuous aromas of Bulgarian Rose and Sandalwood calm the mind. I love using this at the end of my skincare routine. Streamline your moisturizing to one simple, powerful product with extreme age-defying benefits. 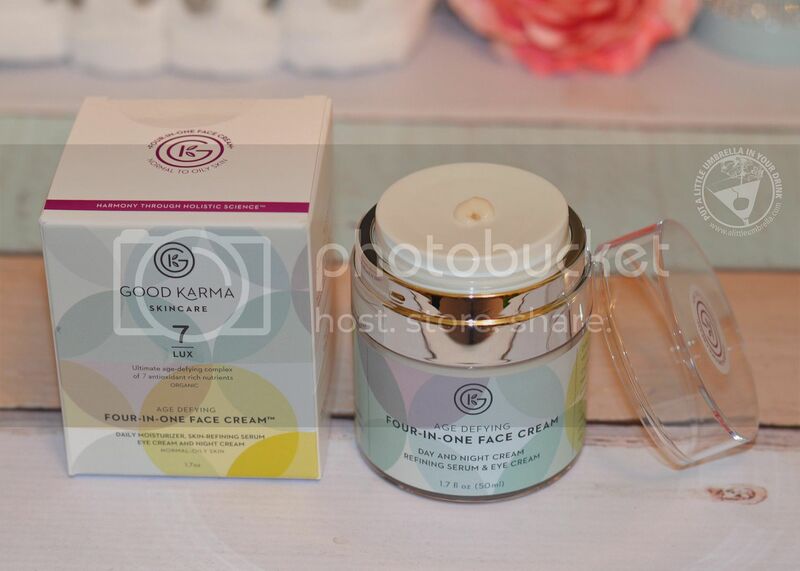 Skincare Lux 7 Age Defying Four-in-One Face Cream from Good Karma Skincare has an antioxidant-rich ultra-moisturizing formula that was designed to transform the appearance and texture of your complexion. With repeated use, it will help your skin feel smoother, softer. and clearer while projecting a youthful radiance. It takes the place of four products: daily moisturizer, skin-refining serum, eye cream and night cream! The press down dispenser is awesome, delivering the correct amount of cream. I have noticed visibly reduced fine lines and wrinkles, as well as diminished pore size. It is even lightly scented with natural grapefruit! As it says right on the box, this product has color because nutrients aren't white. Something to think about! 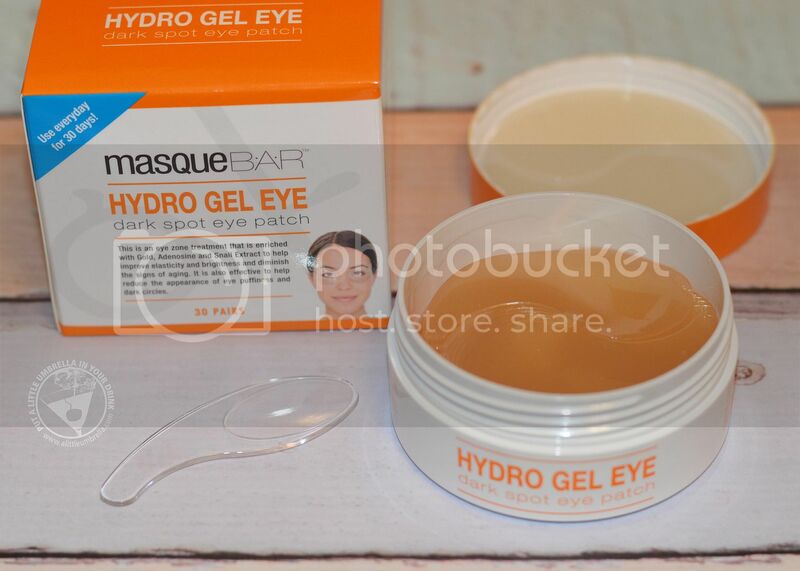 Hydro Gel Eye Dark Spot Eye Patches from Masque Bar deliver a 30-day supply of soothing, hydrating eye masques! They leave you looking illuminated and refreshed with skin that’s smooth and firm. 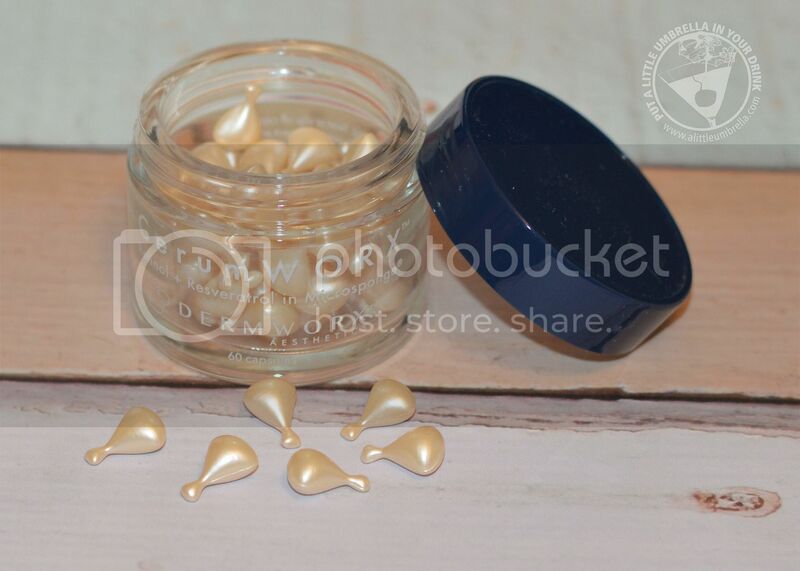 The beautifully gold toned masques come in 30 pairs, and are perfect to use daily. However, you can also use them as needed to de-puff under-eyes and ease fine lines and dark circles. This is what I do for those days when under eyes need some extra attention. The lightweight serum infuses key ingredients into the delicate eye area without irradiation for under-eye skin that looks youthfully dewy and revitalized. The presentation of these is so cool. They come in the perfect under eye size. Just remove a pair with the enclosed spatula. Genius! 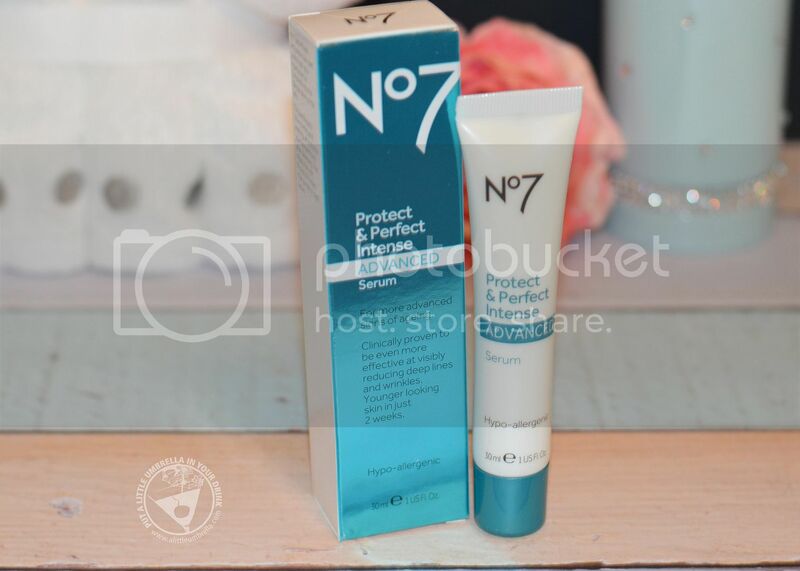 Supercharge your skincare regime with Protect & Perfect Intense Advanced Serum from Boots No7. This serum is powered by Matrixyl 3000 Plus, a combination of the most powerful form of Matrixyl plus a next generation peptide that works together to help restore more youthful skin. The patented antioxidant complex helps protect skin from future signs of aging, keeping it looking younger for longer. My skin looks younger and firmer. 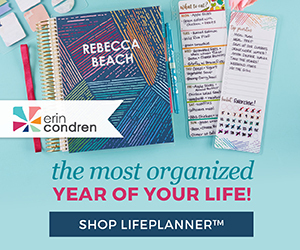 It is easy to find too, I saw it on the shelves the last time I was at Target! 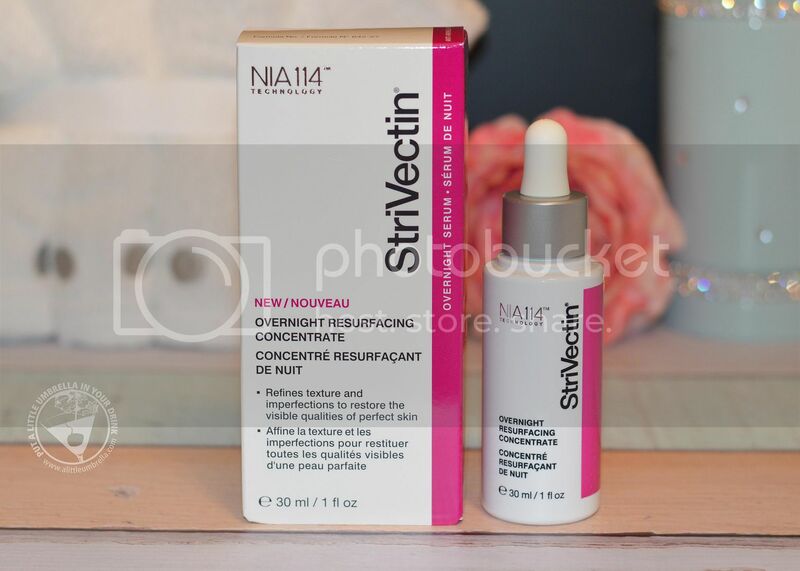 Restore the visible qualities of your skin in just one night with StriVectin Overnight Resurfacing Concentrate. Restore smoothness, softness, hydration, nourishment, and cushion with this complex of five powerful enzymes. It gently exfoliates to refine texture and imperfections, while also delivering moisture throughout the night. I have noticed improved texture and clarity! While Micellar Water is all the rage, is it really all the same? No. 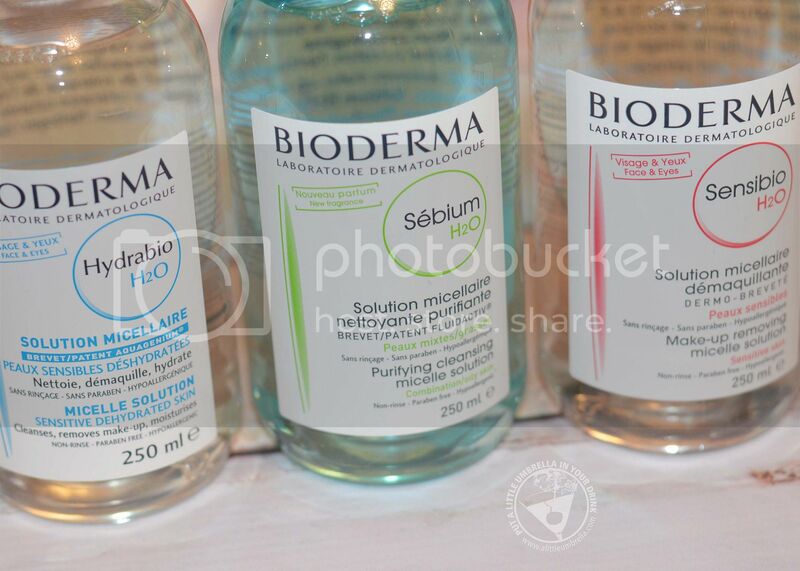 Bioderma's Micellar Water H20 products were developed by expert skincare professionals. 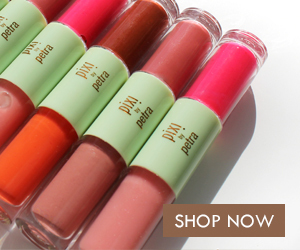 The ingredients are natural and safe to use, formulated without any parabens, alcohol, fragrance or harsh chemicals. 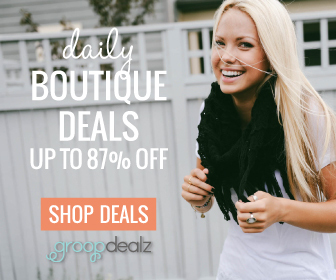 Each product helps strengthen your skin and restore its natural balance and pH level. 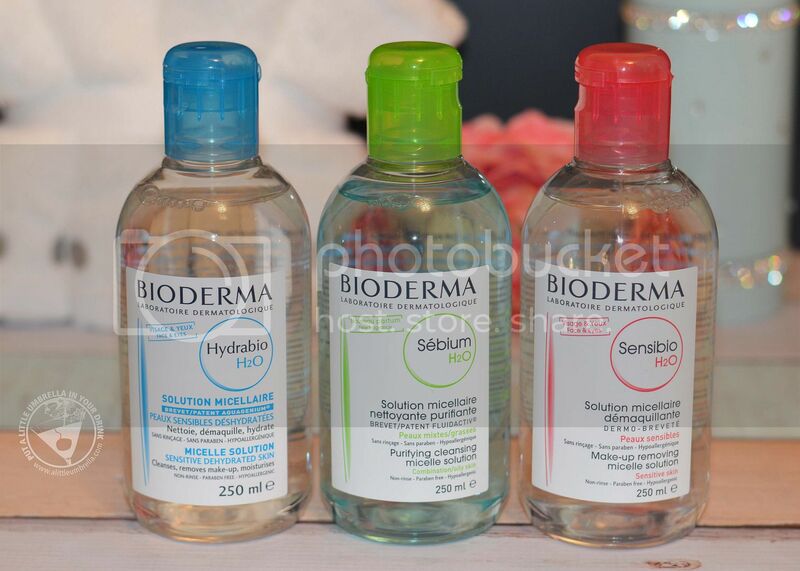 I had a chance to try three types of Micellar Water from Bioderma. Hydrabio Micellar Water H20 is formulated for dehydrated, sensitive skin. Its fatty acid esters, the constituent elements of micelles, are similar to the phospholipids of the skin cell membranes and naturally help rebuild the skin's hydrolipidic film. Thus, Hydrabio H2O guarantees unrivaled tolerance and comfort for optimum make-up removing efficacy. Sébium Micellar Water H20 gently purifies combination or oily skin. Sébium H2O mimics the natural composition of the skin for perfect make-up removal and total respect for even the most sensitive skin. Thanks to the Fluidactiv patented sebo-correcting complex, it biologically regulates sebum quality to keep the pores from becoming clogged and clear up the skin. Finally, Sensibio Micellar Water H20 is so trusted and popular, that one bottle is sold around the world every two seconds. Used by top models, makeup artists and celebrities, Sensibio H2O is a no-rinse micellar cleanser and makeup remover specially formulated for sensitive, normal to dry skin types. It can even remove water-resistant face and eye makeup! Thanks to cucumber extract, it clears up irritated skin and produces a feeling of instant freshness. Needless to say, I love Bioderma's Micellar Water H20! I use all of the formulas to remove my makeup, especially around my eyes. Just soak a cotton pad and use it to gently cleanse and remove makeup. Lightly dab your face with a clean cotton towel afterwards. You don't even need water! It is fantastic! 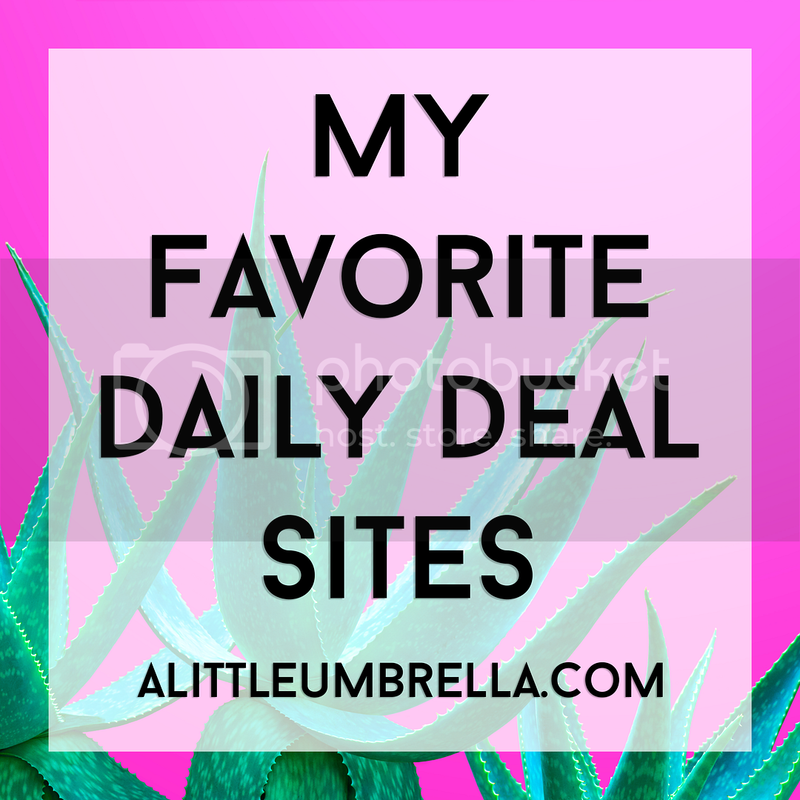 Find It :: Click below to find the products mentioned in this post! Dry Cleaning vs. Dryel | How Much Can You Save?